Roku founder and CEO Anthony Wood started the broadband streaming powerhouse before broadband and streaming existed. So how did he build Roku into what it is? And what's the history with Netflix? He tells his story. Today it's a $4-billion publicly-traded company. It's synonymous with streaming video, going head-to-head with Apple, Amazon, Google and lately Netflix, in the cord-cutting era. But Roku's been around for more than 15 years. That means it's older than YouTube. Anthony Wood, the founder and CEO, hasn't followed a straight line to get Roku where it is. He's gone through a few different business models. He got some help from Netflix. Now he's defying the odds and talking about Roku's latest strategic moves. I met Anthony Wood at Roku's New York office in Midtown Manhattan. We talked about his journey as an entrepreneur – from selling used golf balls as a kid to his big move to Silicon Valley. He also gives his take on what's next in this golden age of TV. Kay Koplovitz pioneered cable television – especially live sports – and founded USA Network. A little more than 40 years ago, there was a live event that changed television forever. Muhammad Ali vs. Joe Frazier. A boxing match: "The Thrilla in Manilla." But the men in the ring weren't the only ones with big career stakes on the line. A 30-year-old entrepreneur named Kay Koplovitz had waited about a decade for this moment. She was the driving force behind making the fight the first live satellite broadcast. It changed the cable industry forever, and laid the groundwork for her to become the first woman to head a television network – one she launched two years later – USA Network. 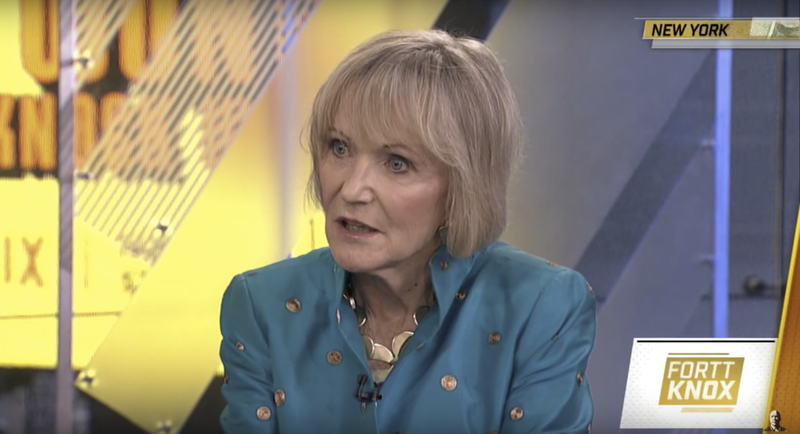 Kay Koplovitz today is a venture capital investor, a board member, and an advocate for women in business. I got some time with her on a busy day at the Nasdaq Marketsite in Times Square to talk about her journey, and lessons for the rest of us who – maybe in our jobs, maybe with some new venture – are trying to do what's never been done. Bastian Lehmann thought he wanted to direct movies, until his film school application didn't go so well. Entrepreneurship is working out much better. Sometimes Plan A doesn’t work out. You’ve got to be ready to improvise. That’s one of the themes in Bastian Lehman’s story. He had a different career path in mind, but ended up settling for entrepreneurship. So far it’s going pretty well. He’s the cofounder and CEO of Postmates, a delivery startup that’s part of this race to remake the way we shop. He's raised about a quarter billion dollars. Postmates was originally supposed to be doing furniture delivery. That didn’t work out for some interesting reasons. When I sat down with Bastian Lehmann at the New York Stock Exchange, I got a fresh appreciation for why the ability to make smart adjustments is often better than being able to divine the future. Vlad Shmunis was doing well as an engineer in the tech industry when he decided he was bored, and needed to start his own thing. Vlad Shmunis just wasn't an enthusiastic employee. Didn't like following directions. And he had ideas – lots of ideas. Eventually, something had to give. So the entrepreneurial engineer took a leap, even though family members said he was nuts. How'd that work out? Well today, Vlad Shmunis is the founder and CEO of RingCentral, a Silicon Valley company at the intersection of communication and cloud. The company went public just under five years ago. Today it's worth more than $5 billion. If you're a long-time Fortt Knox listener, you're going to sense a pattern. Vlad is the third CEO I've had on who grew up in the former Soviet Union and eventually found his way to the U.S. There was Citrix CEO Kirill Tatarinov, Coupa CEO Rob Bernshteyn, and now Vlad. Their stories are all pretty different in key details, but similar in some important core ways, when it comes to education, values and … please listen for this one … the family's approach to risk. If you or someone you know is thinking about taking a leap to start your own thing, but you're not quite sure, listen to Vlad's story. PwC U.S. Chairman Tim Ryan grew up in working class Boston before launching into a career in accounting. Tim Ryan grew up in a working-class family in Boston, where his early jobs included a paper route and a job at a grocery. He’s now the U.S. chairman of PriceWaterhouseCoopers, the global accounting firm known as one of the big 4 auditors. In 2016 it was ranked as the fifth largest private employer in America. Whether it’s the changing political landscape, the headaches companies face over protecting data, or getting the right envelopes at the Oscars, PwC handles issues large and small – and a lot of it crosses Ryan’s desk. I sat down with Tim Ryan at PwC’s office on Madison Avenue in Manhattan to talk about the challenges facing global business, and his own rise from blue-collar roots to the top level of a company that touches many of the world’s most powerful companies. Tony Xu, cofounder and CEO of DoorDash, plans to expand operations from 600 cities to 1,600 over the next 12 months. Tony Xu just raised more than half a billion dollars to build out his business at DoorDash. There’s this idea out there that today’s consumers are lazy, and that’s why we're getting stuff delivered all the time. The thing is, I don’t know about you – but the reason why I’m ordering so much delivery is because I’m so busy. That’s where DoorDash comes in. The company was cooked up by four students at Stanford four and a half years ago. One of the four, Xu, is the company's 33-year-old CEO. Xu was in New York recently after raising a monster round of funding – $535 million. I sat down with him at the Nasdaq MarketSite in Times Square to find out what he's really building, and why he thinks he can beat Grubhub, Amazon, Google, and a lot more rivals lining up to take him on. Watchbox CEO Danny Govberg had a watch face custom painted with his family on it. It took the artist 400 hours. Everybody loves a David and Goliath story. The problem is, in business these days, the David is usually a family business, and the Goliath is some technology-juicing giant. Goliath is usually winning. So here's a story that returns to classic form: Danny Govberg is the CEO of Govberg Jewelers in Philadelphia – and he's also the CEO of Watchbox, an app and website that's shaking up the world of luxury watches. By Govberg's count, he's selling at a rate of $200 million worth of watches this year between the two businesses, much of it in brands like Rolex, Patek Phillipe and Omega – brands that run in the thousands and tens of thousands of dollars per watch. And he says he's growing more than 30% a year. All of this is happening while the popular narrative is stacked against him. Supposedly hardly anyone wears watches anymore, and for those that do, the Apple Watch and Samsung Watch are running roughshod over the market. Well? That's not the whole story. I met Danny Govberg at the Breitling Boutique on Madison Avenue in Manhattan – you'll hear the sounds of the store and some construction next door. We talked about how the business evolved from his immigrant grandfather's beginnings as a watchmaker, and why technology is growing his old family business while it's killing others. Abe Ankumah got introduced to computers at CalTech and is now CEO and cofounder of Nyansa. Abe Ankumah had never touched a computer before he arrived at Caltech in 1997, but quickly became captivated and decided to major in computer science. Now he’s the cofounder and CEO of Nyansa, a Silicon Valley startup that monitors the health of wireless networks. An immigrant from Ghana, raised by hopeful entrepreneurs, he has the kind of story that has fueled Silicon Valley for decades. I met Abe at the Nasdaq MarketSite in Times Square and talked to him about his journey, and the experiences that paved the way for what he's working on now. Oren Jacob saw Star Wars as a kid, and fell in love with the idea of bringing together technology and storytelling to create something entirely new. Today, he’s the cofounder and CEO of PullString, a tech startup that teaches software how to have conversation. That could mean helping companies build an Alexa skill for Amazon’s Echo, or allowing Hello Barbie to talk. I caught up with Oren at Mobile World Congress in Barcelona, where he spoke to leaders in the tech world about laying the groundwork for the future of voice interaction with computers. He told me how his early fascination with Star Wars led him to an internship and first career at Pixar – before he decided to start his own thing. Matt Meeker was trying to do something nice for his Great Dane when he and a friend came up with BarkBox. Boutique treats and toys for dogs, it turns out, are a big business. Bark was co-founded by Matt Meeker, who's now its CEO. It's the seller of the subscription BarkBox. And it expects to do a quarter billion dollars in sales in 2018. Americans spend about $70 billion a year on their pets; that’s part of the reason why General Mills just announced that it plans to pay $8 billion for pet food maker Blue Buffalo. 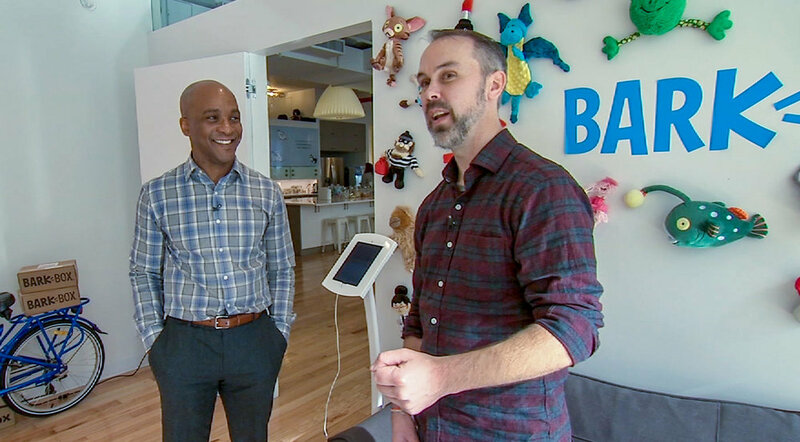 And it’s part of the reason why I went to see Matt Meeker at Bark’s headquarters in New York City’s Chinatown, and learn how he saw this pet-pampering mega-trend coming six years ago. When you’re pursuing a big idea, it’s important to keep refining it, and questioning your assumptions. That’s one of the things I took away from Matt’s story. Coupa founder and CEO Rob Bernshteyn became a master at using one small success to fuel his next big effort. Frugality is baked into Rob Bernshteyn’s life experience. His family immigrated from Russia when he was a kid, and he used savings from a paper route to start a baseball card business … which helped pay for his college education. In his mid-30s, after an executive role at SuccessFactors, a tech company that went public, Rob’s entrepreneurial itch became overwhelming, and he used his modest IPO windfall to launch Coupa. Coupa’s mission? What else — help businesses save money through smart software. Rob and I met at the Nasdaq Marketsite in Times Square to talk about how far Coupa’s come — it’s now a public company worth $2 billion — and how he got there. Panera founder Ron Shaich got started in business when he opened up a convenience store in college, as an act of protest. Who doesn't like to eat? Maybe my seven-year-old … he'd rather talk at the table … but the rest of us, when we're hungry, want something right now, and something that's not going to induce a lot of guilt. That, in a nutshell, is what has given birth to the fast casual movement over the past 20-plus years, and this week, I want you to join me for my conversation with the father of fast casual, Ron Shaich. Before there was Chipotle or Dig Inn, there was Panera Bread. Founded in Missouri in 1987, it now boasts more than two thousand locations. But Shaich, one of the founders, was selling cookies when he first got into the restaurant business. And he's got some insights to share about the journey. I got some time with Ron Shaich to talk technology, and quality, and wages, and more. 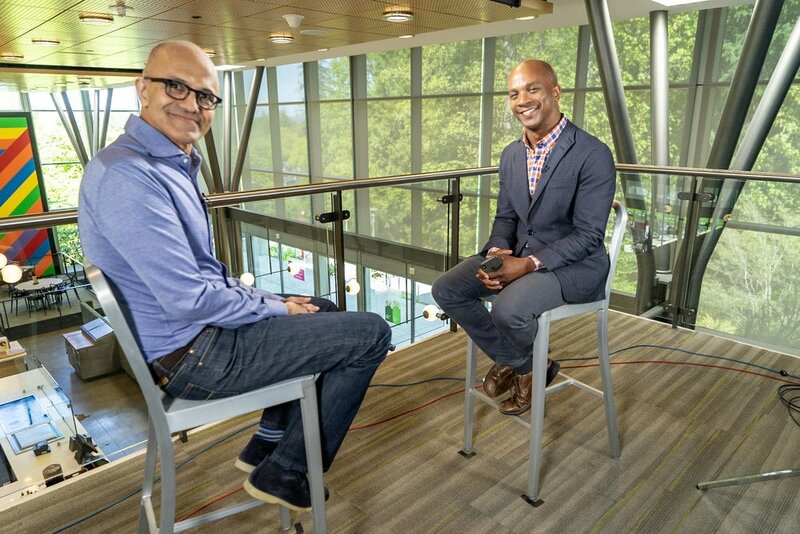 We had half of this conversation on Fortt Knox Live, which you can catch Wednesdays at 2 pm, and see by the way on YouTube, and the CNBC app on Apple TV and Amazon Fire TV. Also, Ron and I kept the conversation going exclusively for this podcast, so there are parts that are new here, even if you watched live. 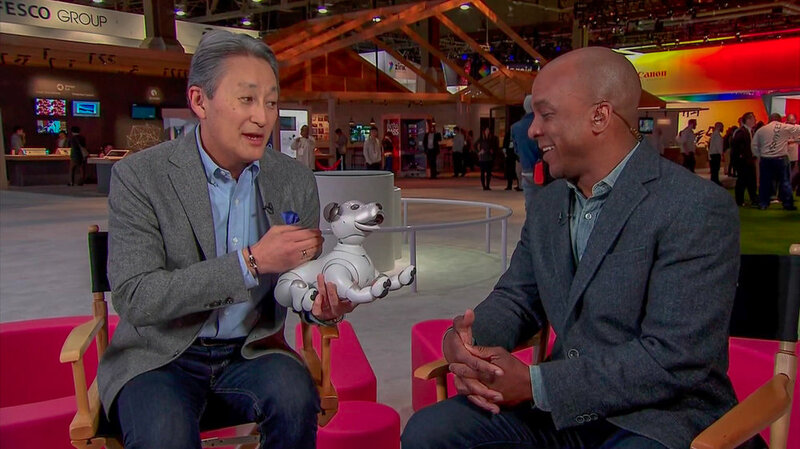 Sony CEO Kaz Hirai showed off the new version of the Aibo robot dog at the Consumer Electronics Show. Kaz Hirai has been the CEO of Sony for six years, and the company just announced that he'll be stepping aside and taking the title of Chairman in April. That means he's been the CEO at Sony for much of time that I've been at CNBC. And in that span I've sat down with him most every year at the Consumer Electronics Show, a sprawling event in Las Vegas where the world's gadget giants gather every year. Funny thing about Kaz – he stepped in to take the reins at Sony at a moment when the sky was falling in on the company. Apple's iPod and iTunes had snatched the digital music mantle away from the Japanese giant, and Samsung had seized Sony’s crown in TVs. Hirai leaves the CEO seat with the company pretty clearly better off than when he started. I sat down as usual with Hirai at the Consumer Electronics Show in January, but this time, for both CNBC live and for the Fortt Knox podcast. We discussed Sony's latest products in phones, TV, and the return of that robot dog, Aibo – but I also talked to him about the multicultural life experience that prepared him to be CEO in this turbulent era. Nasdaq CEO Adena Friedman once had to make the case that she be allowed to work remotely. You don’t have to be playing the markets every day to know that stocks have been doing very well lately – and not just lately, for about nine years now. That means you might be hearing a bit more about stock exchanges. Which brings us to my next guest. Adena Friedman is the first woman to lead a global stock exchange. She’s the CEO of Nasdaq, a job she’s held for a year. To get there, she’s had to chart a path where there was none. For example, it meant choosing what was right for her family over what seemed like the more obvious career decision – and making it all work anyway. I sat down with Adena Friedman – where else? At the Nasdaq, in New York’s Times Square. We talked about the roads not taken, and the new landscape for female entrepreneurs. Visa CEO Al Kelly spent 23 years at American Express, and eventually joined the Visa board. Imagine you've worked 23 years at a company, up to the top. You're being groomed to be the next CEO. And then the current CEO tells you – actually, he's not leaving anytime soon. That's the position Al Kelly was in nine years ago at American Express. What happened next is a textbook case in how to handle career curveballs. Today Kelly is the CEO of Visa, and has great things to say about Ken Chenault, who’s retiring as CEO of American Express. Kelly also has great insight into what's happening in the world of money, from Bitcoin to Apple Pay. 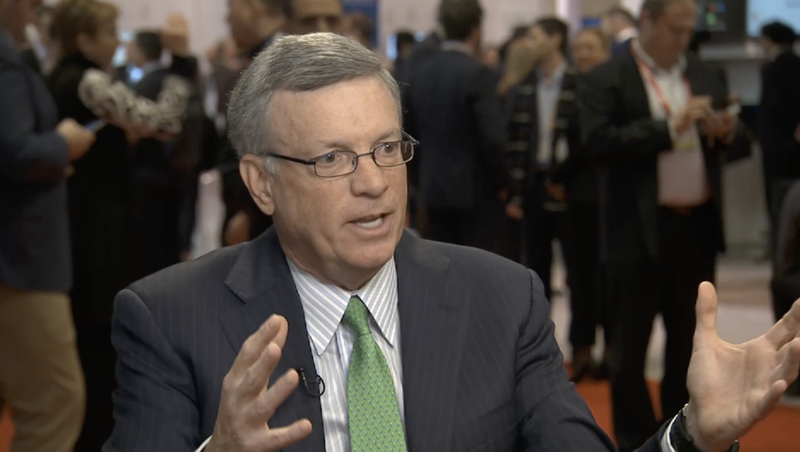 I sat down with Kelly recently at the National Retail Federation conference in New York. Visa is a big company, worth more than a quarter trillion dollars, and its technology touches a staggering number of the payment transactions happening around the world. We talk about that – plus his career, which has taken him around some interesting corners. Daymond John started an urban clothing brand, and now is an investor, speaker, and a star of TV's Shark Tank. Daymond John grew up in Queens, New York. He wasn’t the best student – he would later be diagnosed with dyslexia – but he did have an eye for fashion and a talent for connecting with people. Today, you’ll know him as one of the sharks on Shark Tank – a popular show on ABC and CNBC where entrepreneurs pitch their companies to a superstar panel of investors. That show is in its ninth season. Contestants want not just his money, but perhaps more important, Daymond John’s advice and unique connections. John is also out with a new book this month, Rise and Grind, analyzing the key habits of successful people. 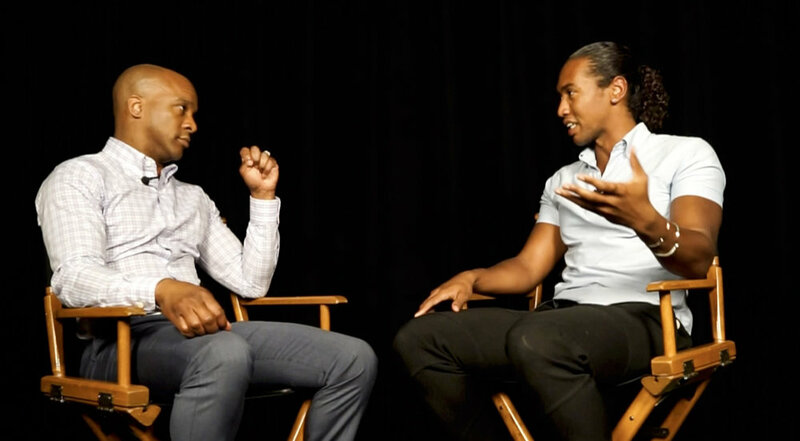 He sat down with me to tell how he rose from sewing clothes in his mother’s house, to becoming an investor and TV star, and what he’s learning now. Justin Dent is co-founder and executive director of GenFKD, a non-profit helping millennials avoid getting financially screwed. Justin Dent is the co-founder and executive director of GenFKD, a non-profit dedicated to getting Millennials smarter about their finances before it’s too late. He’s a Millennial himself – he graduated from the University of Maryland just a couple of years ago. Dent didn’t come from money, and neither did I – we’re both African Americans, though from different generations, who grew up on the East Coast and had to fight the odds to get into a better financial position. With the tax changes that are wending their way through Congress and the questions about who they’ll help or hurt, it’s worth having a bit of an American family meeting. We should think about just how we got into this sorry state, and how we get out. Dent is taking a bold step at a young age, toward doing exactly that. Andy Jassy joined Amazon straight out of grad school in 1997, the year the company went public. Later he dreamed up AWS. About 13 years ago, Andy Jassy had a big, big idea. What if you could rent computing power and storage over the Internet instead of having to buy a whole bunch of equipment? Jassy worked for Amazon.com at the time, as the technical assistant to one Jeff Bezos – the founder and CEO of Amazon. He told Jeff about the idea. They decided to do it. And now, more than a decade later, Andy Jassy has not only built a business that brings in 16 billion dollars a year. He and his team also essentially invented the business of cloud computing, and upended the tech world in the process. I flew out to Las Vegas this week to have a chat with Andy Jassy, the CEO of Amazon Web Services. The company was having its annual re:Invent conference, where software programmers from around the world gather to hear the latest cloud tools Amazon is looking to put in their hands. I wanted to hear from him about how he got started at Amazon; how he worked with his boss, Jeff Bezos, to launch a business that has turned out to be Amazon's biggest profit-maker; what his strategy is now, and just how massive he thinks it all can get. Part of the reason Jassy was in a great position to suggest Amazon launch the first large-scale cloud computing business was proximity to Amazon founder and CEO Jeff Bezos. He had been serving as Bezos's technical adviser for about a year when he came up with the idea. Interestingly, he initially turned down Bezos's offer of the role. "It was a very undefined role," Jassy tells me. "When I talked to Jeff about it, I said, 'Well, what's the goal of the role?' He said, 'Well, the goal is for me to get to know you better, and for you to get to know me better, and to build some trust.' And I thought, Well that's interesting, but it doesn't sound like a mission." Things came together because Bezos was willing to let Jassy craft the role into something more like a chief of staff to the CEO – and that made a lot more sense to Jassy. Jassy says that kind of flexibility is a key to healthy leadership. Too many leaders, he says, misunderstand the real point of being correct. "They think that being right a lot means that the idea has to come from you," he says, "and you dig in on your idea and you have to win the argument. The job for all of us as leaders is to make the right decisions." Jassy, Bezos and Amazon's senior leadership team certainly were right about the potential of the cloud computing business. But how big can it get? I asked him if he thinks Amazon Web Services could become the biggest enterprise cloud company on the planet. "I do think it's possible," he says. "It has the chance, I think, to be a really large business. And I think that if we are able to accomplish the right type of customer experience and continue to build what customers ask us over time, as the market moves more and more toward cloud, I think we have the chance to be the largest enterprise company in the world." We'll have to wait and see if he's right about that.